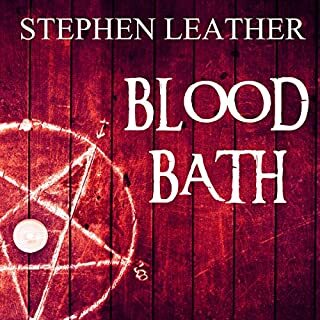 A killer is murdering Goths with relish - skinning and butchering them. The cops aren’t getting anywhere so Jack Nightingale’s nemesis, Superintendent Chalmers, asks him for help. 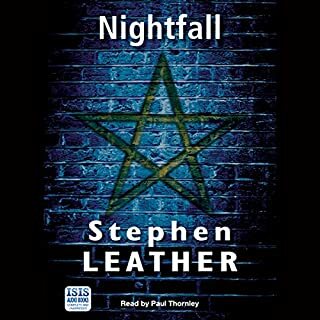 Nightingale discovers that the murdered Goths had one thing in common: a tattoo connected to the secretive, Satanic, child-sacrificing cult called the Order Of Nine Angles. 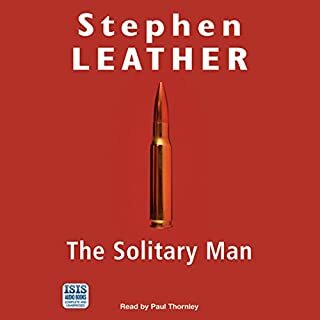 As Nightingale closes in on the killers, the tables are turned and he finds himself in the firing line, along with his friends and family. 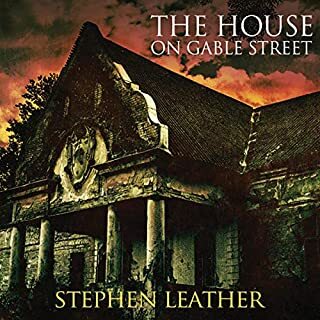 The Order will stop at nothing to protect their secrets and Nightingale realises that there is nothing he can do to protect himself. 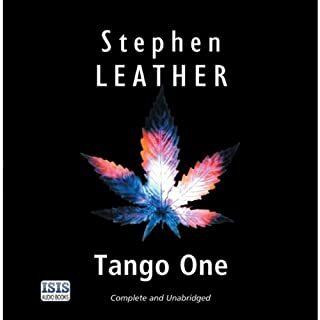 It leaves him with only one way to stop the carnage - and that’s to take his own life…. 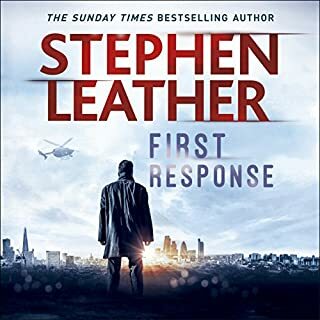 I loved the first book in the series as it was exactly the sort of book I search for and Stephen Leather being a super writer and setting the scenes in and around London it was perfect, so when the second book was announced I bought it without my usual research and sample listening. 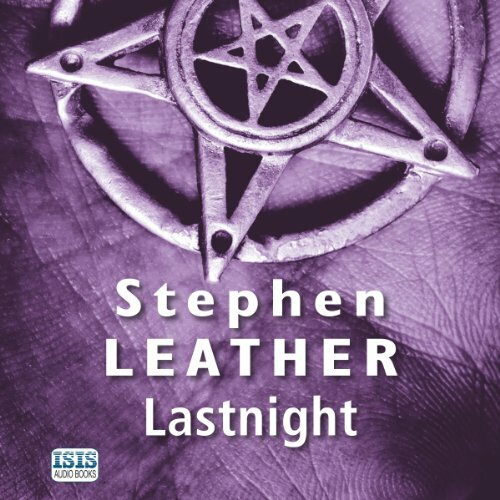 It was good, as was the third and fourth books and once again when "Lastnight" was announced I bought it without question because a) it's Stephen Leather b) it's Jack Nightingale and c) it's Paul Thornley. 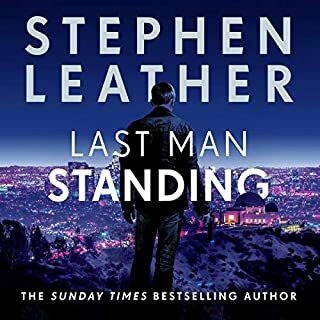 I'm glad I listened to it as it appears to have been the last book in the series but I wouldn't say I thoroughly enjoyed it, It seemed to be a bit light on substance and detail and appeared padded out and unlike the other books there were long periods of inane chat. Maybe the author has simply run out of ideas for Jack which is surprising given the breadth of his work or maybe Lastnight was simply a bread and butter book. Whatever the reason I was disappointed and I'm sad to see Jack go as I'm sure there were many more adventures for him and Jenny. 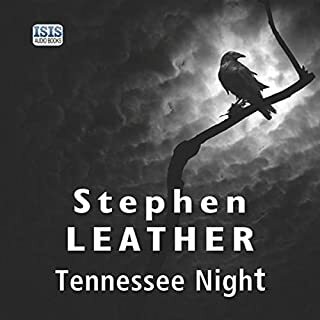 Where does Lastnight rank among all the audiobooks you’ve listened to so far? As a fan of the JN series i would put this alongside the first 3 - a good paced story with slightly less supernatural elements than the original trilogy. What other book might you compare Lastnight to, and why? All others of the JN series. Paul Thornley is one of the best in the biz - and i am yet to hear a below A* performance from him. 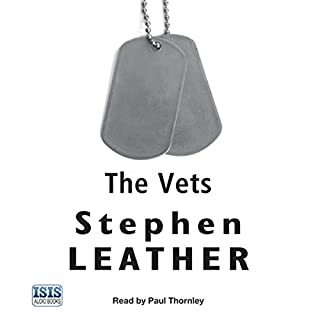 This was approx the 19th book i have listened to with Paul as the narrator, and to be honest when searching audible for something new to listen too, his is the first name i check. 10 and a half hour book knocked out the park in less than 24 hours - i would say it had me hooked. 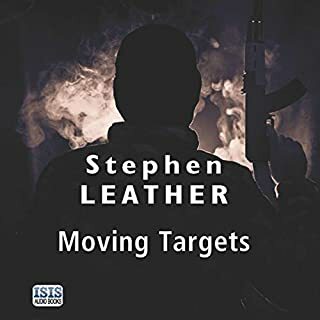 SL has a natural writing style that makes you want to continue listening, when combined with PT's voice, you have a great combo! 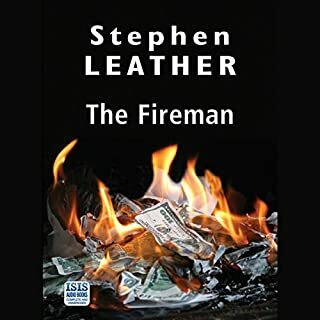 Great book - and i cant wait for the next one! This is the fifth (and possibly final?) 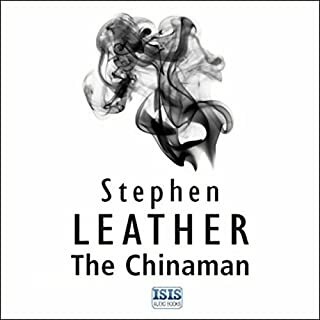 instalment in Stephen Leather's Jack Nightingale series. 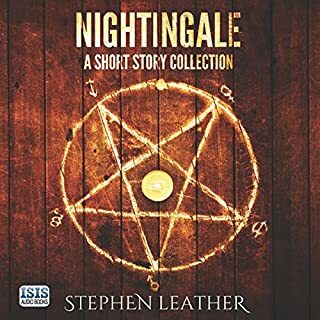 Nightingale is a private detective who investigates a series of murders of goths and the story unravels the supernatural elements begin to come into play. If you enjoyed any of the previous instalments I'm sure you'll enjoy this too. 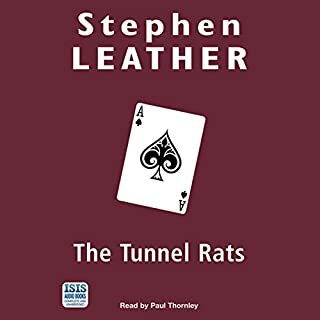 Narration is top notch and the story comes to a great conclusion. If you haven't read the previous books in the series I would recommend starting with them in order first. 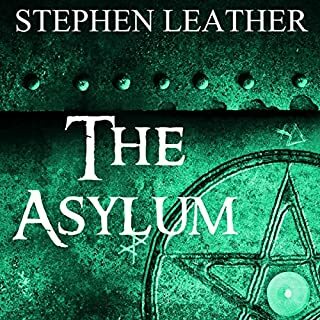 It can be read as a stand alone book but you'll get more out of it if you follow the series. book 5 in the series. follows on beautifully. chatacters are developed well and the story advances chronologically. 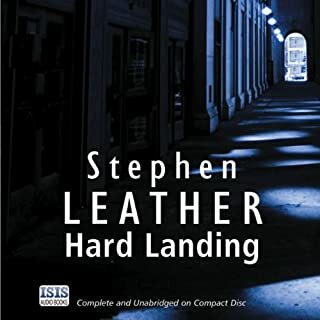 As per all the books so far, Mr. Leather does not disappoint. 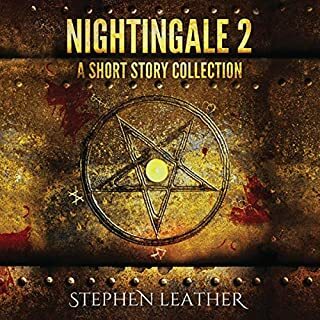 On the contrary: this series of books follows Jack Nightingale's story fluently despite the fluctuations in his life in this fascinating series of events. 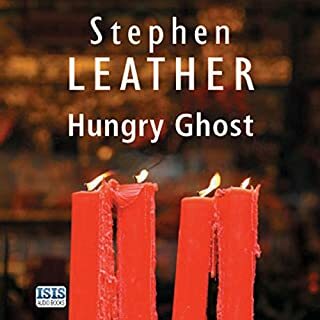 The suspense is exciting and specially in the audiobooks the humor comes through as well as the horror. I sincerely look forward to Jack's continued cases and affectations by the demonic sources he encounters as he battles to continue his various life projects, travels and relationships. What did you love best about Lastnight? What does Paul Thornley bring to the story that you wouldn’t experience if you just read the book?